Desire and drive (and an awesome personal trainer) will get you far in the gym, but nutrition is the key to training success. While we pay a lot of attention to the post workout meal, (for me right now it’s a 1.5 scoops protein shake mixed with water and 10g of glutamine) what you put into your body an hour before you hit the gym is just as critical. Research shows that having the right amount and types of protein and carbs before your workouts will not only help you go longer and be stronger but will help you recover and prepare for your next session as well. Whether you’re just hitting the weights, heading out for a run or both, today I am going to give you some snacks to help fuel your workout right. Remember to aim for 1-1.5 g of protein per lb of body weight and not just before your workouts, this is how much protein you should be eating everyday! Yep, I know, it’s a lot of protein but trust me you need it in order to build muscle, increase your recovery and boost your metabolism. Any other meals or snacks that you enjoy before a workout? Thanks again to everyone who has been consistently following my blog! I am getting some great feedback and am doing my best to keep posting at least once per week! Competition prep is really time consuming (and I am loving every minute of it!) but in less than 9 weeks I will have much more free time to keep the blog posts coming! My Top 5 Favourite Food Myths You Need to Stop Believing! There are so many mixed messages in the media related to diet and exercise, what works, what doesn’t work, try this for best results, or eat this, not this, etc. It can get confusing even for someone who is a professional (like myself) in the field! I don’t want to overwhelm you with TOO much information today so I thought I would stick with 5 of my most favourite (and most common) food myths…. 2. Granola is healthy. Granola is made from whole rolled oats, which alone is healthy for you. If you stopped there you’d be fine! The problem is that those natural oats are now covered in sugar with added nuts, dried fruits and excess oil which increases the calories, fat and sugar. Maybe a handful for a quick snack is fine, but not as a daily breakfast. Your best bet is to have 100 per cent oatmeal cooked in water, adding 1/2 cup of blueberries with almond milk or little cinnamon and even pure maple syrup (1 tbsp.) for taste. This has way less calories, fat and sugar than traditional granola. Or ask some of my clients what their favourite breakfast is…PROTEIN PANCAKES!! 3. Eggs are bad for you. There’s one thing that nutrition professionals have had remarkable success with…and that is making super healthy foods seem incredibly unhealthy. But recently it has been proven that the cholesterol in your diet doesn’t really raise the cholesterol in blood. 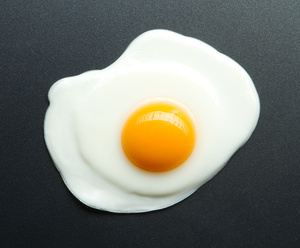 In fact, eggs primarily raise the “good” cholesterol and are NOT associated with increased risk of heart disease. To top it all of, despite being a “high fat” food, eggs are proven to cause significant weight loss, compared to bagels (or my least favourite, CEREAL), as a breakfast food. 4. Whole grains should be a necessity in everyone’s diet. The agricultural revolution happened fairly recently in human evolutionary history and our genes haven’t changed that much. Grains are fairly low in nutrients compared to other real foods, like vegetables. They are also rich in a substance called phytic acid which binds essential minerals in the intestine and prevents them from being absorbed. Modern wheat contains a large amount of a protein called gluten, but there is evidence that a significant portion of the population may be sensitive to it. Eating gluten can damage the intestinal lining, cause pain, bloating, stool inconsistency and tiredness. Gluten consumption has also been associated with schizophrenia and cerebellar ataxia, both serious disorders of the brain (I didn’t know this!). Bottom Line: Grains are relatively low in nutrients compared to other real foods like vegetables. 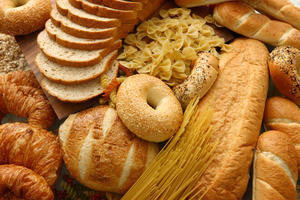 The gluten grains in particular may lead to a variety of health problems. They are also full of sugar which when eaten will spike your insulin levels and causes cravings. Ever wonder why you want more bread after eating bread? It’s because you digest it so quickly it leaves you hungry and craving more! STOP EATING BREADS AND CEREALS! 5. Eating a lot of protein is bad for your kidneys and bones. This is my most favourite myth! High protein diets are far from bad for you, eating lots of protein is the best (and in my opinion the only way) to lose weight! A high protein diet has been claimed to cause both osteoporosis and kidney disease. It is true that eating protein increases calcium excretion from the bones in the short term, but the long term studies actually show the opposite effect. In the long term, protein has a strong association with improved bone health and a lower risk of fracture. Additionally, studies don’t show any association of high protein with kidney disease in otherwise healthy people. Bottom Line: Eating a high protein diet is associated with improved bone health and a lower risk of fracture. High protein also lowers blood pressure and improves diabetes symptoms, which should lower the risk of kidney failure. And what’s best about eating lots of protein is that it helps to increase your metabolism as it takes so much energy for your body to break it down. It also prevents you from overeating as eating protein helps keep you feeling fuller longer. Are you hungry all the time?? It’s most likely because you’re not eating enough protein (or fat). So there you have it…5 of my favourite food myths! There are A LOT more but I will save them for a post in the future…. What are some other food and nutrition myths you have seen/heard or are unsure about? Had to re-post this 🙂 Sometimes we get ahead of ourselves when we are working out, trying to eat healthier etc, instead of just focusing on taking it one day at a time. Live in the moment, and trust the process 🙂 You can achieve anything you put your mind too if you are willing to put in the effort and time! I really like this quote because it reminds me how simple yet important it is to live in the present moment and to take one day at a time. It is hard to explain this to people sometimes and I feel as though I am repeating myself all the time but I feel like I have to remind people over and over again….NEVER GIVE UP! 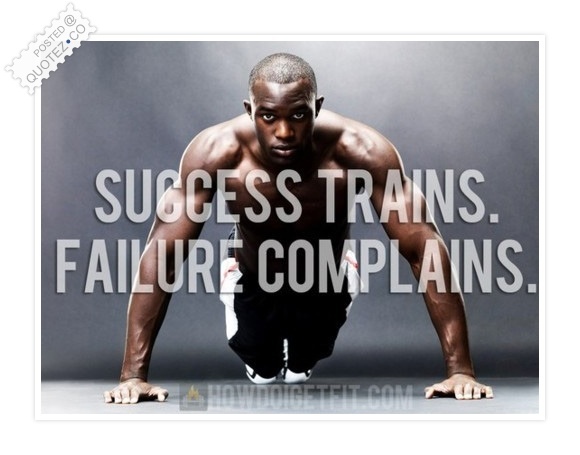 Persistence is extremely important in weight loss just as it is in any area of your life. When you first decide to lose weight , you are excited about making a change in your life, improving your health and the shape of your body, etc, especially at the beginning. 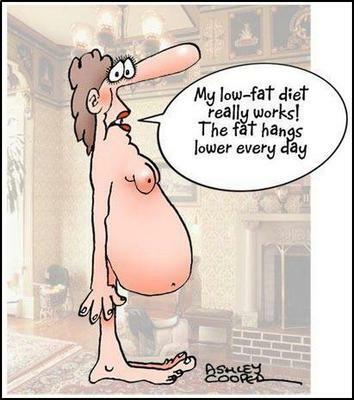 So have you ever gotten to the point where you weight loss stalls (or maybe you gain weight)?! ARGH SO FRUSTRATING! You are probably telling yourself “oh well, no one cares anyway” or “what’s the point, this is as good as I’m going to look” or “there isn’t anything more I can do” but the truth is no one cares and no one will know whether you’ve plateaued or given up…ONLY YOU (the most important person) will know! So why not KEEP GOING! When you persist and continue to stick to your weight loss goals and workout plan then you will reach your goal physique/body fat/body weight/pant/dress size. You will not only need to persist once but maybe even 2 or 3 or 100 times before you reach your goal. Ask my clients how many times we have had to have a “sit down” conversation to re-evaluate training plans, meal plans, goals and progress…I do the same thing with myself every month! If something isn’t working then try something else but NEVER STOP MOVING FORWARD! Weight loss isn’t always easy (trust me, I know personally and because it is my job to help people lose weight) however if you do persist and KEEP GOING especially when you are feeling lazy, unmotivated, full of excuses, bored etc and your persistence will pay off and YOU WILL REACH YOUR GOAL! It is more of a mental struggle then anything else…once you get your mind right your body will follow 🙂 Believe you can and you will! I do my leg workouts on Saturday, how about you?! Barbell Stiff Legged Deadlifts 15, 12, 10, 10 (weight starts at 135 and we add weight (at least 10 lbs) with each set. If you have a weak grip, I find straps really help take the pressure off your hands. 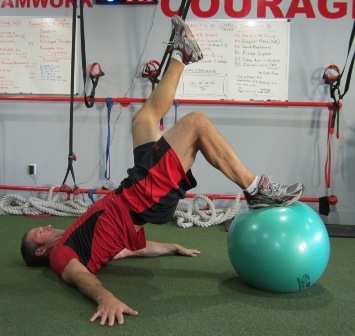 Btw most people do this exercise completely wrong (and it is unsafe and you could injury your back if done improperly) so before you start loading up the bar with weight make sure you have a personal trainer (or someone who knows how to do this exercise properly) before trying it! Then we finish with 10 minutes on the step mill and that feels GREAT after an insane leg workout like this one (note the sarcasm!) A great way to help tighten up your legs though, FEEL THE BURN! Workouts change every four weeks and the first week of every new program is always the toughest! The best way to see improvements or progress in your workouts is to track your weights/rep for each workout every single workout! It’s awesome to look back and see what you were lifting a few months ago! 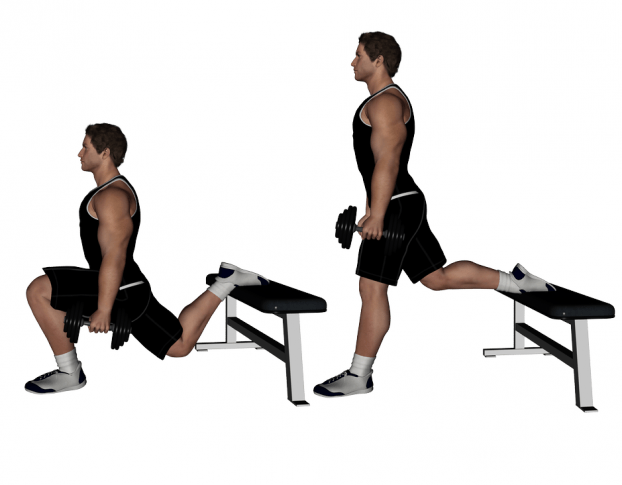 What are you favourite leg exercises or workouts? I’d love to hear from you! Looking forward to the final leg workout of this program…switching things up next week! Can’t believe there are 12 weeks until SHOW TIME!